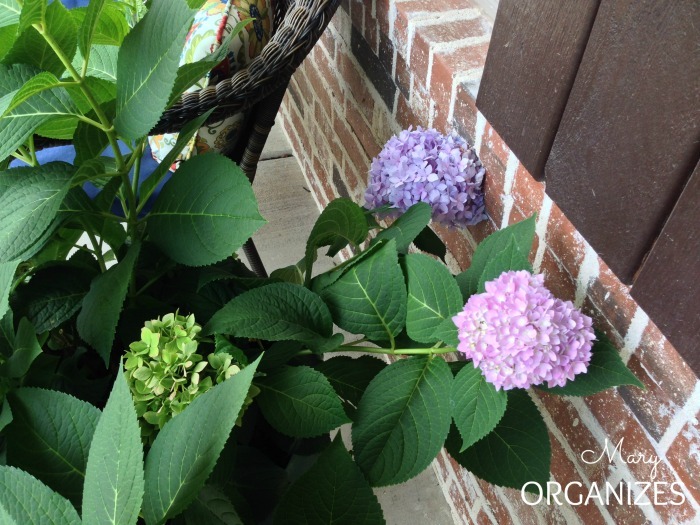 Admittedly, when I planted Hydrangeas in the containers on my porch back at the beginning of summer, I had no idea if they would live or die. I even kept the plastic containers and receipts in the garage in case I had to return them to the store (the store worker assured me they were guaranteed to live a year). In the middle of the summer, the hydrangea buds lost the beautiful blue color they came in and turned green, so I added some acidifier to the soil to play with the color. I love the beautiful pink-purple, but I think I’ll add a little more to get back to a nice blue. 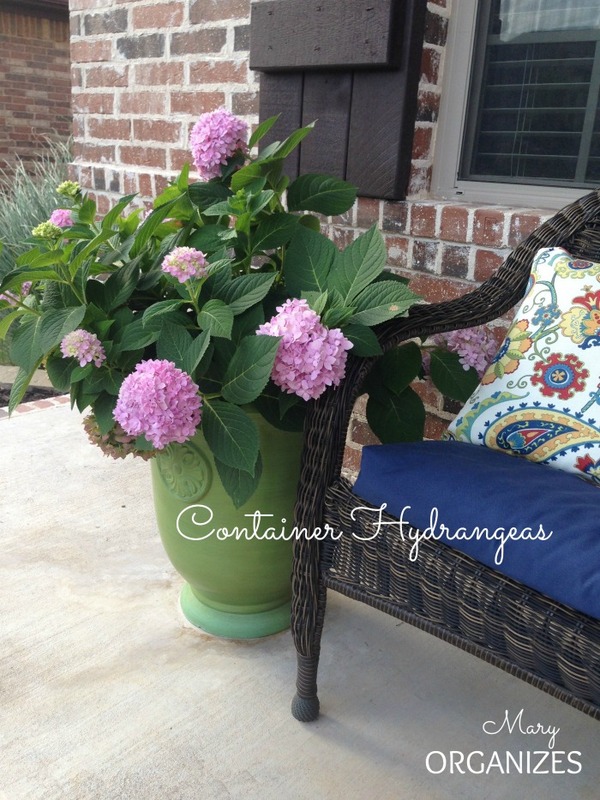 I am in love with my container Hydrangeas. I think I’m just so proud of my self for keeping a container plant alive, which is a first for me! I’m a little nervous about how they’ll hibernate for the winter and come back alive in the spring like normal Hydrangeas do. If I learn any tricks, I’ll pass them on! 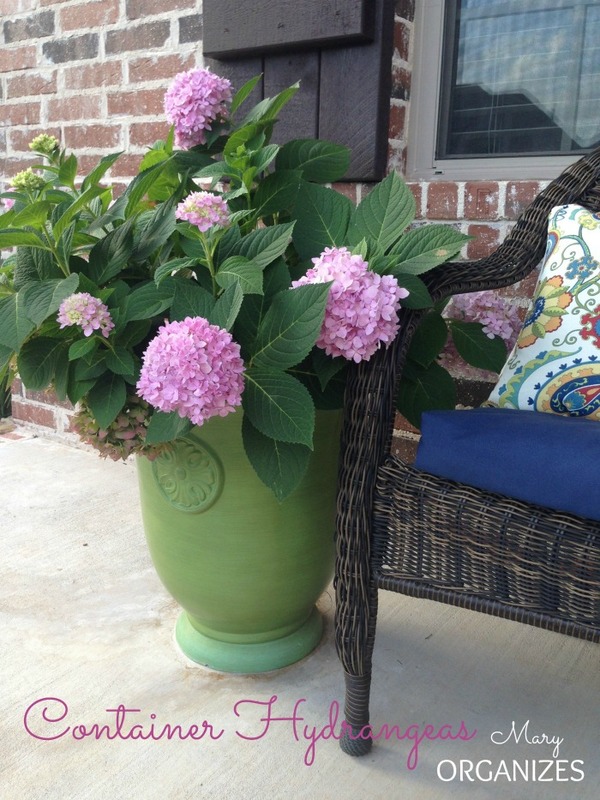 Have you ever put Hydrangeas in containers? Any tips for me? 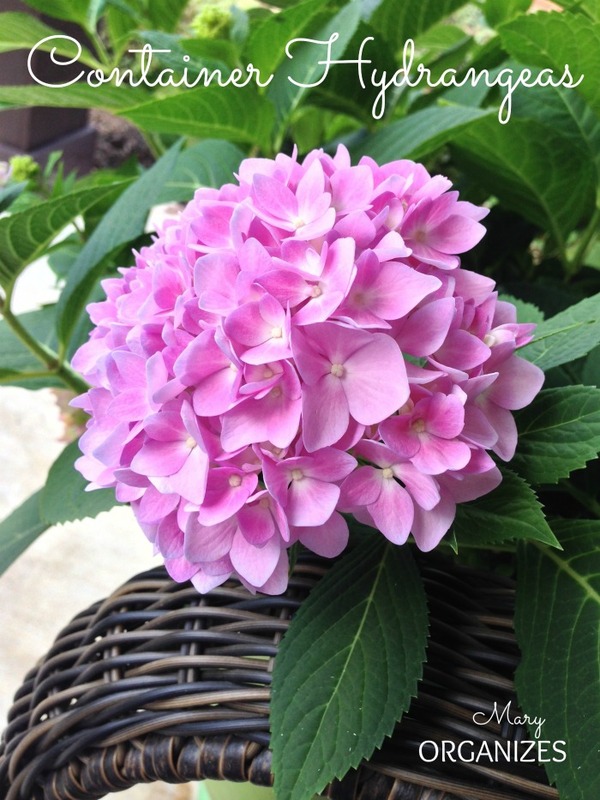 Hydrangeas have beautiful leaves and the flower bouquets are gorgeous! I definitely recommend them for adding a beautiful pop of color to any space. I can’t think of anything better on a front porch. Yes, I had to wait until I was ready to focus outdoors, now I am ready! I have a hydrangeas on my deck’s east side. It has been beautiful all summer long. I’d love to keep it over winter, can it be done? I think so! I’m going to try! Mary, Here is a great site that addresses container plants in general and also how to winter them… http://www.hgtv.com/landscaping/the-cold-hard-facts/index.html Hope it is a help. Your hydrangeas are beautiful! I love them as well. I only have experience with hydrangeas that are planted outside. However, I think i might bring them into your garage if you have the space. I am not sure how hardy they are in a pot. Just a thought. Congrats on your new found success! Thanks for that thought, I think I will! We like to Call them hymangeas due to their high maintenance water schedule! Ha! Hymangeas sounds about right! Those are so gorgeous. I’ve never had much luck with hydrangeas. 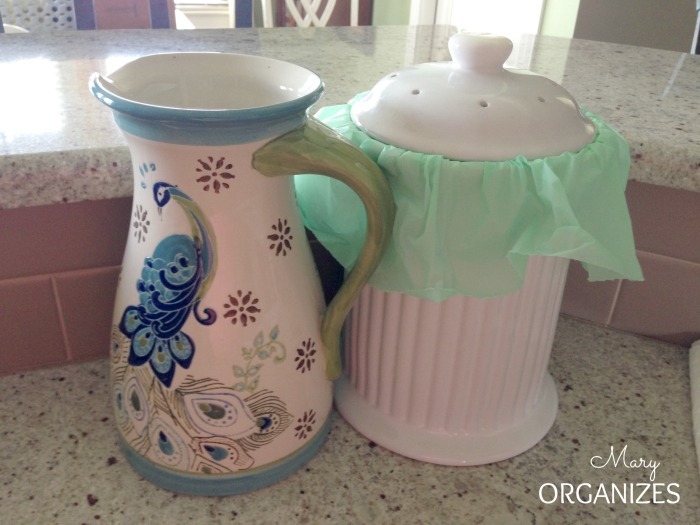 I love your idea of keeping a pretty pitcher on the counter to remind you to water — and I LOVE that compost bin! So much cuter than my old ceramic bowl!